Pumpkins and corn and zombies, oh my! 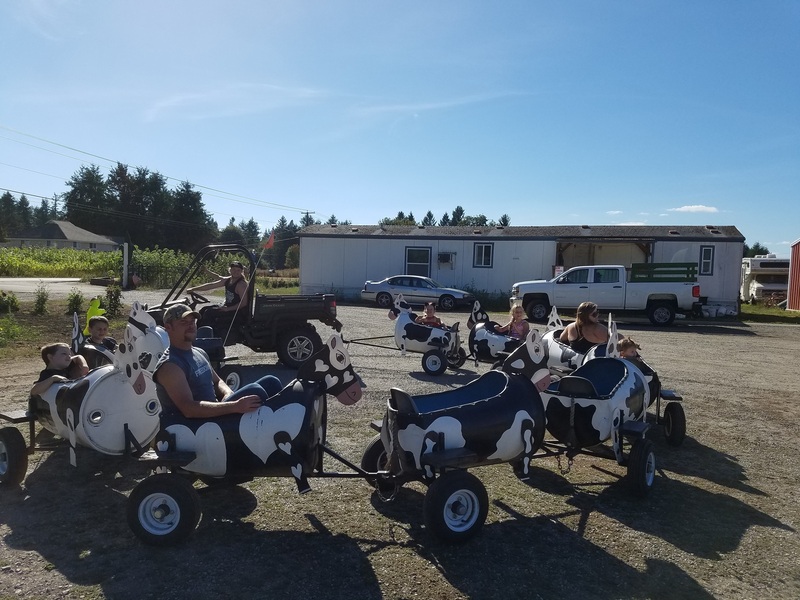 When the weather gets crisp and the evenings get shorter, it’s time to hit the Thurston Bountiful Byway for family-friendly fun this fall. 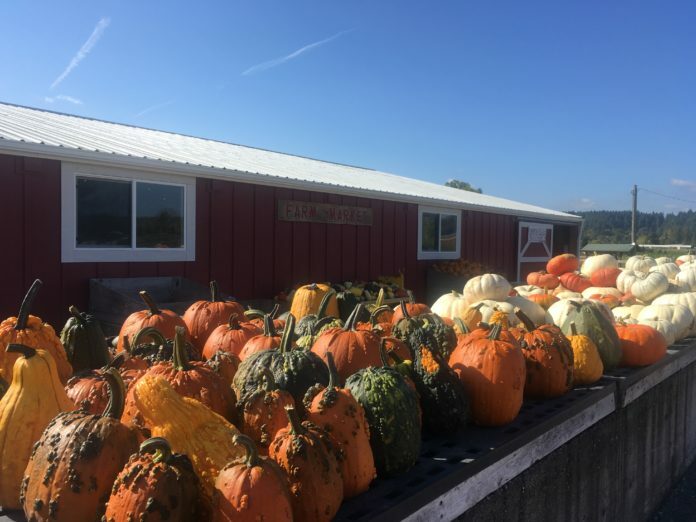 Gear up for Halloween at pumpkin patches and haunted houses right here in Thurston County starting in September. It’s easy, just follow the Thurston Bountiful Byway to these family-friendly fall activities. Since 2012, the town of Bucoda has transformed itself from cute to scary for the fall season, becoming the BOO-CODA SPOOK-TACULAR! 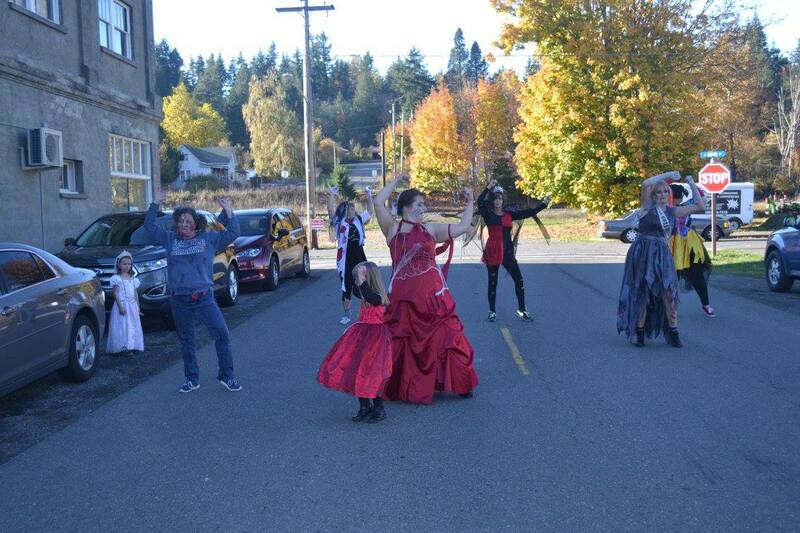 With a scary, award-winning haunted house; pumpkin pancake breakfasts (every Saturday in October); Trick-or-Treating (every night in October); hearse procession and viewing (October 13); pumpkin carving, ghost story telling, and coloring contests (October 20), there is something for everyone in BOO-CODA. Michael Jackson fans won’t want to miss Bucoda Thriller, October 27. This event, which happens around the world on the same day, has everyone taking to the streets to help break a world record for most people dancing to “Thriller.” Watch for firefighters dancing with their boots and drop in some cash for their annual “Thrill the Boot” fundraiser for the Bucoda Firefighter Association. Monies raised helps local families in need throughout the year. 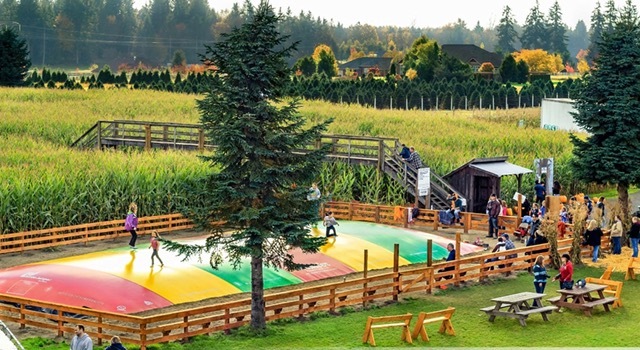 The farm features two corn mazes, the giant maze is 4 acres and the junior corn maze is 1 acre. In the giant maze look for clues to solve a mystery. We asked for a hint on this year’s theme, but Tami wasn’t giving anything away. “Our mystery theme in the corn maze is still a mystery!” she says mysteriously. All this fun at the Hunter Family Farm starts September 29. For more information, visit the Hunter Family Farm website. Activities at the farm include their famous corn maze, pumpkin patch, haunted maze, zombie paintball apocalypse, a corn and a cow train, “spookley” story time, and arts and crafts (Saturdays and Sundays), corn hole, ladder ball, a swing set, corn cannons and more to be announced. Haunting for Dollars will happen October 14 this year and will be the main fundraising even for ACS. Tickets go on sale at 6:00 p.m. that night and the haunt opens at 8:00 p.m. “We bring in several of our more experienced actors to ensure that the show is a great success,” says Robby. He adds that he wouldn’t recommend this event for children under 10-years-old either. 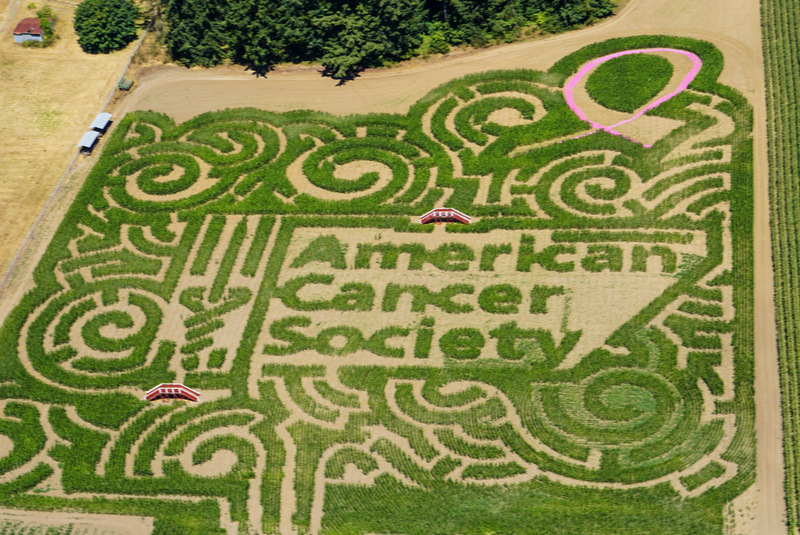 Their goal is to raise $25,000 for the Making Strides Against Breast Cancer event, so come to the farm, go through the maze and donate to a cause that affects us all. The corn maze, haunted maze and zombie paintball apocalypse open September 22 and the pumpkin patch opens on September 29, but Robby says you won’t be turned away if you come early! For more information, visit the Rutledge Corn Maze website. The Schilter Family Farm is a third-generation farm, having been in operation since 1930. The Harvest Festival and Pumpkin Patch started in 1997. 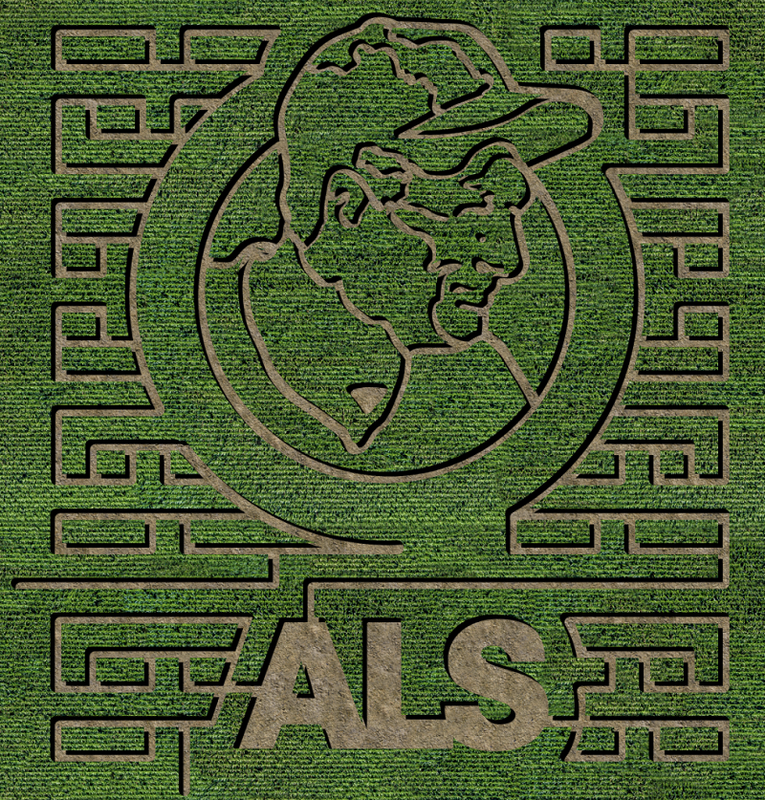 This year, Schilter Family Farm is raising awareness for ALS-Lou Gehrig’s Disease with proceeds from their activities going to the ALS Association. They even have a corn maze designed in the likeness of Lou Gehrig. Everything at Schilter Farm is family-friendly, so bring the kids as there is a ton for them to do! They have a Fort Nisqually to explore, cow head roping, pumpkin bowling, corn hole, pumpkin cannons and more in the works. Bring your camera, as the photo ops are abundant! Opening September 29. For more information, visit the Schilter Family Farm website.